More vacant seats after medical counselling likely. 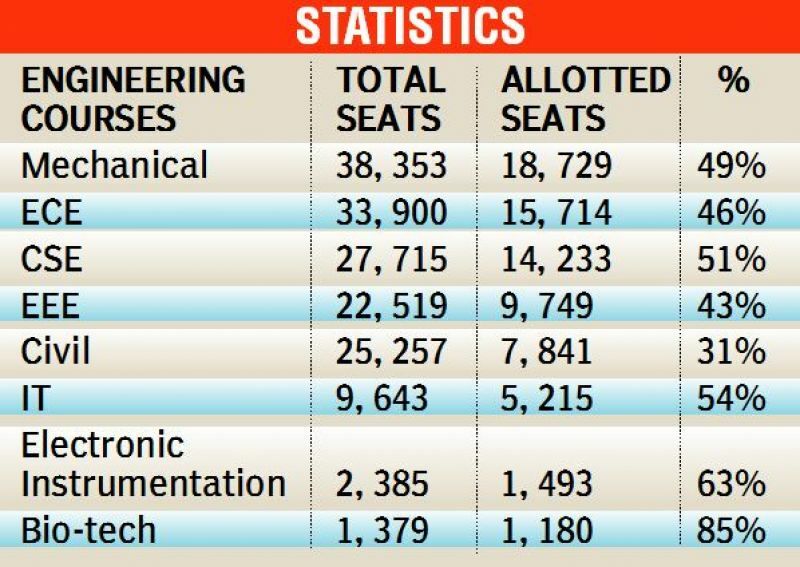 This year the vacant seats in the engineering counselling will be around 90,000 which is less than 10,000 compared to last year. 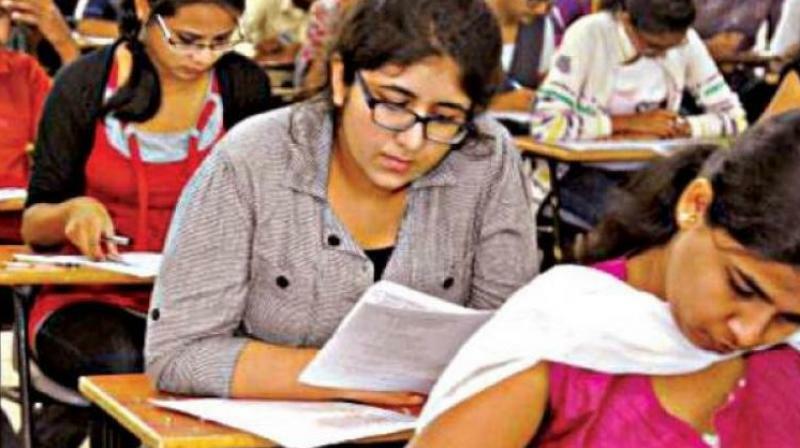 Chennai: Even as the academic counselling drawing to close on Friday, more than 150 engineering colleges are struggling to get 30 per cent of students against their total intake. As per the All India Council for Technical Education (AICTE) norms, if engineering colleges attract less than 30 per cent of students for three consecutive years they will be closed down. The professors attributed the fewer numbers to the confusion in medical counselling. It is expected that there will be more vacant seats after the medical counselling. Of 1.30 lakh students who have called for counselling 83,562 students selected the engineering seats. This year 46,818 (35.75%) students were absent. The absentees are slightly higher compared to last year. Like last few years, mechanical engineering was the top choice for the students at the engineering counselling. A total of 18,729 students selected the mechanical engineering as on Thursday. It was followed by electronics and communication engineering (15,714) and computer science engineering (14,233). “Over 100 engineering colleges are struggling to fill even 100 seats. These colleges have nothing to show neither in their academic performance nor in their placements. So, the parents and students are rejecting these colleges,” said Jayaprakash A. Gandhi, a career consultant. Generally, the trend in the engineering counselling is almost same like last year. “Vacancies in engineering colleges will increase once the medical, paramedical and Indian medicine counselling is started,” he added. Colleges in urban areas are attracted more students compared to the colleges in semi-urban areas. “As usual, engineering colleges in cities are preferred by students. But, this year, many colleges struggled to fill the civil engineering seats. Even on the last day, some top colleges are having few seats vacant,” a private engineering college principal said. He also alleged that a few colleges are admitting SC students under management quota to collect more fees from them. The officials are hopeful that this year the supplement counselling will attract more students due to confusion over Neet.